LAPPEENRANTA, Finland, July 24, 2017 (ENS) – Finnish scientists have produced a single-cell protein using electricity and carbon dioxide that can be developed for use as human food and animal feed. 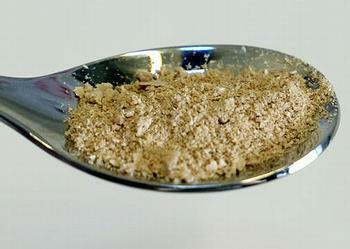 The protein can be produced anywhere renewable energy, such as solar energy, is available. One possibility is a home reactor, a domestic appliance that consumers can use to produce the protein themselves. The scientists say, their method releases food production from restrictions related to the environment. The single-cell protein was made in a joint study by the Lappeenranta University of Technology (LUT) and VTT Technical Research Centre of Finland, the country’s national research lab. “In practice, all the raw materials are available from the air. In the future, the technology can be transported to, for instance, deserts and other areas facing famine,” explains Juha-Pekka Pitkänen, principal scientist at VTT. “In the long term, protein created with electricity is meant to be used in cooking and products as it is. The mixture is very nutritious, with more than 50 per cent protein and 25 percent carbohydrates. The rest is fats and nucleic acids. The consistency of the final product can be modified by changing the organisms used in the production,” Pitkänen explains. The United Nations Food and Agriculture Organization estimates that about 795 million people of the 7.3 billion people in the world, or one in nine, were suffering from chronic undernourishment in 2014-2016. Nearly all of the world’s undernourished people live in developing countries. 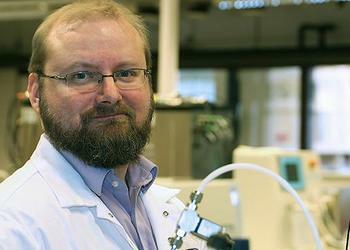 The researchers are developing the protein to be used as animal feed as well as human food. The protein can be used as a fodder replacement, releasing land areas for other purposes, such as forestry. It allows food to be produced wherever it is needed. “Compared to traditional agriculture, the production method currently under development does not require a location with the conditions for agriculture, such as the right temperature, humidity or a certain soil type,” says Professor Jero Ahola of Lappeenranta University. “This allows us to use a completely automatised process to produce the animal feed required in a shipping container facility built on the farm,” he said. The researchers estimate that the process of creating food from electricity can be nearly 10 times as energy-efficient as common photosynthesis, which is used for cultivation of soy and other products. For the product to be competitive, the production process must become even more efficient. Currently, the production of one gram of protein takes around two weeks, using laboratory equipment that is about the size of a coffee cup. The next step is to begin pilot production. At the pilot stage, the material would be produced in quantities that can be used for development and testing of fodder and food products and commercialization of the process and the product. “We are currently focusing on developing the technology: reactor concepts, technology, improving efficiency and controlling the process,” says Ahola. The study, funded by the Academy of Finland, is part of the wide-ranging Neo-Carbon Energy research project carried out jointly by Lappeenranta University and VTT Technical Research Centre. The aim of the project is to develop an energy system that is completely renewable and emission-free.